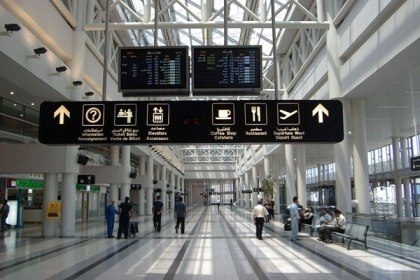 Six Syrians including Christians were turned away from Philadelphia International Airport in the United States and sent back to Lebanon, an official at Beirut airport told AFP on Sunday. U.S. President Donald Trump signed an executive order on Friday prohibiting entry to the United States to all nationals of seven Muslim-majority states -- Iran, Iraq, Libya, Somalia, Sudan, Syria and Yemen. The ban also prohibits entry to all refugees, regardless of origin, for 120 days and indefinitely for refugees from Syria, which has been ravaged by a deadly war since 2011. "Six people, including Syrian Christians, were turned back at Philadelphia airport on Saturday and were back in Beirut on Sunday," the source in Lebanon said, speaking on condition of anonymity. They then headed back to Syria. The Lebanese official said three children were among those turned away at Philadelphia. Their journey had taken them via Doha in the absence of direct flights between Beirut and the United States since the 1980s, when Lebanon was in the middle of a civil war. The U.S. ban stipulates that at the end of the 120-day period, however, priority for entry to the U.S. will be given to refugees persecuted for their religion, an implicit reference to Christians in Syria and Iraq.